You may think that "luxurious living" is not synonymous with life on a reduced budget (and please note that says reduced budget - everyone is on a budget, some are just larger than others! ), or when, for what ever reason, you are trying to spend less. The Google definition of luxury is "a state of great comfort or elegance, especially when involving great expense". Well I agree with the first part but who says it needs to involve great expense? I believe that you can live a life of great comfort and elegance, with very little expense. Of course the way that I see luxury and comfort may be different to your view (however, elegance is elegance) and you may need to adapt my thoughts and aesthetic to suit your own version, but the basics are all the same. My personal definition of luxury is space and peace & quiet, both of which are available at a relatively low cost. To me, sitting in a clutter free space with the low level white noise of a running river, gentle music or just complete silence is luxurious. As far as I'm concerned the accoutrements of luxury are clean crisp white linen (bed clothes, bath towels, napkins), a delicious smelling handwash in the bathroom, beautifully scented candles, white china, real jewellery, hand written notes, a spritz of my favourite perfume - all of which can be sourced inexpensively. 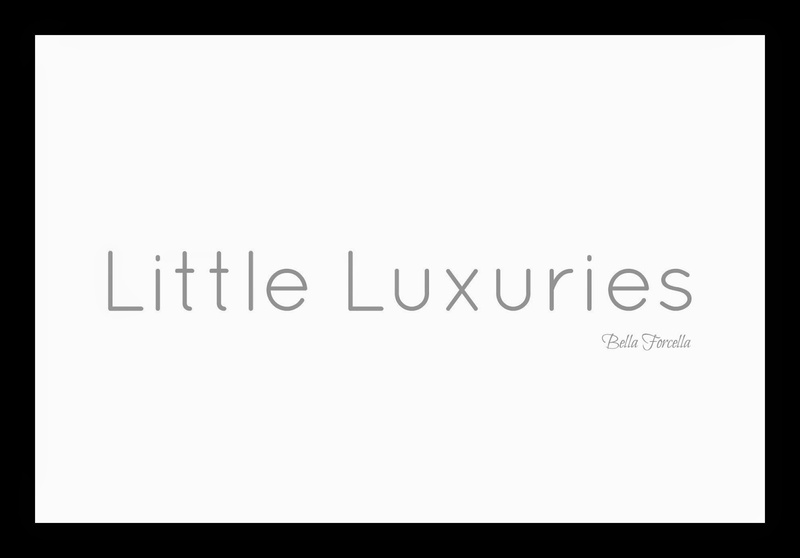 The Little Luxuries series will focus on the little things in life, everyday treats and experiences all which add up to a more special way of living. Until the next time, my challenge to you is to consider the items and circumstances which would make you feel as if you are living in a state of great comfort and elegance. And while you're at it, you know those expensive scented candles you've got stashed away for a special occasion? Dust them off - you're going to need them.